The Vital Records Office is now located at the Ames Building, 740 East Henrietta Rd, at the intersection of E. Henrietta and Crittenden Rds (near Rt 390 and the MCC Campus). Free parking available. Click here for an interactive map. The Monroe County Department of Public Health (MCDPH) has confirmed a total of 4 lab confirmed cases of measles in Monroe County and 3 cases that while not lab confirmed fit the clinical profile of measles - bringing to total number of cases to 7. Measles is a highly contagious respiratory disease caused by a virus that is spread by direct contact with nasal or throat secretions of infected people. · Confirm that your child has received 2 doses of the MMR vaccine. Call your primary care provider or emergency department before seeking care to avoid exposing others to illness. 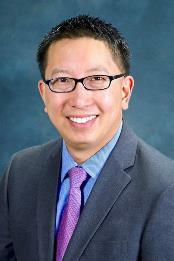 Symptoms of measles generally appear in two stages. The Monroe County Department of Public Health provides Opioid Overdose Prevention Training, typically on the fourth Wednesday of the month, both in the morning and evening (you only have to attend one session). Training is open to all who are interested and there is no cost. 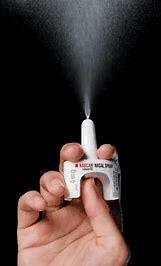 Participants will learn how to administer the new single step Narcan (Naloxone). A prevention kit will be provided to all participants. Space availability will be determined at time of registration. Training occurs at the Health Department, 111 Westfall Rd, Room 142 (enter from rear of building facing canal/Rt 390). Most vaccinations are provided at no-cost through age 18. Please bring any health insurance cards and any letters that you received from school about shots that your child is missing. Attached is a form that requires completion. If you like, you can print it at home and complete it prior to coming to save time. Appointments are also available; call 753-5150. You can e-mail us at immclinic@monroecounty.gov to ask general questions, but not to schedule an appointment. Lyme disease is caused by a bacterium. 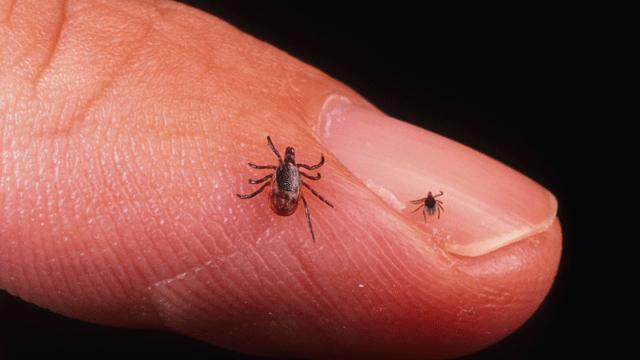 It is transmitted to humans through the bite of infected blacklegged – or deer - ticks. Typical symptoms include fever, headache, fatigue, and a characteristic “bull’s eye” skin rash. Most cases of Lyme Disease can be treated successfully with a few weeks of antibiotics. If left untreated, infection can spread and become much more serious. Lyme Disease is diagnosed based on symptoms, physical findings (e.g., rash), and the possibility of exposure to infected ticks; laboratory testing is also sometimes helpful. The number of cases in Monroe County has increased over the past few years. Steps to prevent Lyme Disease include avoiding walking through tall grass where ticks are often found, wearing light colored clothing to aid in spotting ticks, examining your body closely after having been out in areas where ticks are common, and using insect repellent containing DEET (be sure to follow label instructions). Ticks must stay attached to your body for between 24-48 hours to transmit Lyme, so promptly removing them with tweezers will likely prevent contracting Lyme disease. The Monroe County Department of Public Health provides confidential STD testing both at our clinic located in Bullshead Plaza, 855 West Main St., and at some community locations jointly with the City of Rochester. We provide education about STDs and HIV and talk with you about ways to reduce risky sexual behavior and promote healthier choices. Your confidentiality is protected by public health laws. Everything you tell us is completely confidential. Wednesday: 8:30 a.m. - 3:30 p.m.
Blue Green Algae has begun to appear in waterbodies throughout New York State. Certain types can be harmful to people and pets. Avoid It! Report It! Click here for more information. Zika Virus is primarily spread by the bite of an infected mosquito. There is no risk of Zika in Monroe County at this time. The public will be alerted if this situation changes. We are working closely with the local medical community to assure that appropriate testing occurs in people with possible Zika virus exposure. Below are links to credible sources of information on: Zika, travel recommendations to avoid Zika, and methods to reduce mosquito populations (of all types) in and around your home. The CDC continues to monitor this matter very closely and regularly updates its travel restrictions and recommendations, which are particularly important for pregnant women, or women trying to become pregnant. (Updated March, 2018). NOTE: NEW GUIDANCE for Health Care Providers below! West Nile virus (WNV) is an illness transmitted by the bite of an infected mosquito. The illness is most serious for older people. Healthy children and younger adults are at very low-risk for 'serious' WNV infection. The risk of human WNV infection increases towards the end of summer and into early Fall. Risk continues until the first frost. 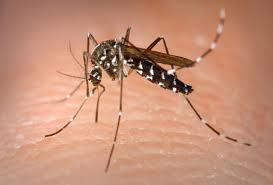 Mosquitoes are most active at dusk and dawn. Covering exposed skin and use of insect repellent are effective at preventing bites. There are numerous programs in the Greater Rochester to help prevent and control diabetes. Click here to learn more. The links listed below contain reliable health information.